Joey has long been a catalyst for moving people forward and naturally why he would be a fit to serve on the Community Foundation of Henderson. 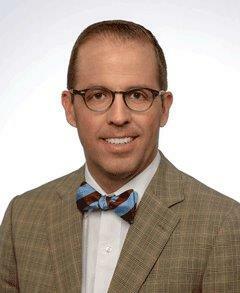 Joey is presently a Financial Advisor at Hilliard Lyons for the 20 years and is Senior Vice-President. He will serve as the financial liaison to West Kentucky Community Foundation of which CFH is an affiliate. Growing up, Joey became a high caliber athlete competing at the collegiate level in basketball. He was an all-state player and [is still the] all-time leading scorer for his high school in Webster County, Kentucky. When he graduated, he went on to play NCAA Division 1 basketball at Samford University where he is the 4th all-time leading scorer, all-time leader in free throws made and attempted, and a 3-time all-conference player. This in athletic history combined with his spiritual drive, he became the founder of Live ON Purpose and the +1 Movement. Joey has built a large following of supporters that often lift up and pray for one another. Joey is frequently asked to come speak and motivate across the country from locker rooms to schools, board rooms, corporations and churches. Joey was recently honored by the Birmingham Tip Off Club and named as a Samford Legend. Joey is married to Amy Davenport and together they have two children, Cooper(11) and Addison(8) and attend One Life Church.